Sid from Toy Story makes an appearance as the garbage truck man in Toy Story 3. John Ratzenberger has voiced a character in every Pixar movie to date. 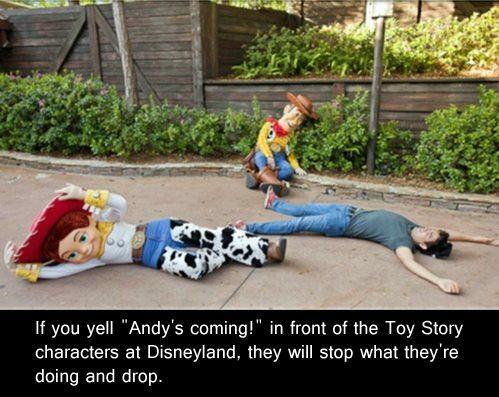 The Abominal Snowman – Monster’s Inc.
Until recently, if you shouted “Andy’s Coming!” at a Toy Story character in a Disney theme park, the characters would go limp and drop to the ground, mimicking the movies. The practice has had to stop, for fear safety.